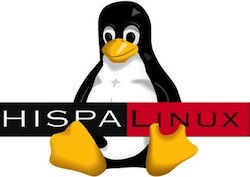 Spanish open source group Hispalinux has filed a complaint in front of the European Commission with regard to Microsoft Corporation’s positioning of Windows 8 and its wider openness. The 8000 member developer group has constructed and filed an anti-trust case alleging that Microsoft “makes it far too difficult” for users of Windows 8 devices to exercise the option to switch to Linux, or any other another operating system. Head of Hispalinux (and lawyer in his own right) is one Jose Maria Lancho. Lancho has visited the Madrid-based office of the European Commission this week to deliver a lengthy document detailing his group’s claim that Windows 8 contained an “obstruction mechanism” called UEFI Secure Boot. UEFI Secure Boot works at the point of computer start-up and in the case of Windows 8 (says Hispalinux) it necessitates that a user will need to request a key from Microsoft to complete the installation of Linux or another OS. Reuters reports Hispalinux’s Lancho saying that this scenario represents a “de facto technological jail” for computer booting systems. Microsoft meanwhile insists that UEFI has an important role to play as an industry standard for computer security. Microsoft spokesman Robin Koch has also said that the firm’s approach with regard to this technology had been public for some time and that he was confident that the firm’s actions would be regarded as beneficial for security in general. Reuters also records a statement made by a European Parliamentary lawmaker who has said that the Commission is monitoring the implementation of the Microsoft Windows 8 security requirements.